Experience the Amazing Aquatic World Up-Close at Ripley’s Aquarium of the Smokies. Marvel at 12-foot sharks, the giant sea turtle, thousands of exotic sea creatures and playful penguins swimming as you enjoy the State-of-the-art clear underwater Tunnels throughout. An Ultimate Underwater Experience without being wet! Explore the lush world of the Tropical Rainforest, the unique world of Ocean Realm, Nature’s Kaleidoscope in Coral Reef, the Best Shark Exhibit in the Most Spectacular Underwater Tunnel in Shark Lagoon, have fun in a kid’s paradise in the Discover Center, see the deadly but beautiful in Gallery of the Seas. Explore the lush, unique and beautiful worlds of the Tropical Rainforest, Ocean Realm, Coral Reef, and Gallery of the Seas, and the Best Shark Exhibit in the Most Spectacular Underwater Tunnel in Shark Lagoon. Enjoy entertaining dive and feeding shows in Coral Reef, Stingray Bay, and Penguin Playhouse. Pet horseshoe crabs and stingrays in the Discovery Center and Touch-A-Ray Bay. Enjoy playful penguins swimming, pop up on the penguins’ private beach and get nose-to-beak in Penguin Playhouse, voted by USA Today Travel 10 Best List as one of the best places to see penguins in the world! 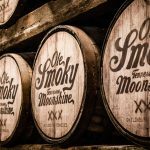 Want a Unique Experience? Experience Sleeping with the Sharks, Behind the Scenes Tours, Educational Programs, Splashing with the Stingrays, Penguin Encounter, and Painting programs. Fun-Filled family experience and much more. If you’re brave enough, make sure you check out the deadly but amazing Gallery of the Seas exhibit. When you complete that adventure, relax by petting live stingrays in Stingray Bay. They glide by in the shallow waters, but don’t worry – petting stingrays is completely safe and harmless. Unlike the jellyfish and the stingrays, not all the exhibits at the aquarium are hands on. However, guests to the Gatlinburg aquarium will be amazed as they take a ride on the 340-foot moving walkway that takes them under the aquarium’s largest tank that is home to sharks, sea turtles, green moray eels and more. As you may have guessed so far, there are tons of memories just waiting to be made within a visit to the Gatlinburg Aquarium. To capture these moments, we strongly encourage families and guests to remember to pack a camera! Don’t fret if you accidentally leave it at home, however, there is sure to be one on sale at the aquarium’s gift shop. Traveling to the aquarium couldn’t be easier. The best way to get around town in general, and to get to the aquarium, is to use Gatlinburg’s trolley system (all trolleys go to the Aquarium). You can park at City Hall or any of the Welcome Centers for free, and then you just pay 2-3 dollars for an all-day trolley pass. Gatlinburg is very compact and a busy tourist destination, so parking can be competitive at times. You’ll want to either take a trolley or walk for the easiest, most convenient experience. Did somebody say Free tickets? Visitors to the area choosing to stay will be pleased to learn about offering one free adult ticket to the Ripley’s Aquarium per night stay. Additional tickets to the attraction can be purchased directly from the aquarium’s website for a discount. 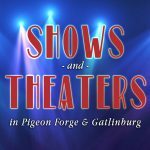 Other area attractions have offered free tickets to include Lumberjack Feud and the Titanic Museum in Pigeon Forge. Looking for a place to unwind after spending the day with all the exciting aquatic wildlife at the Gatlinburg Aquarium? Fully-equipped with everything you and your family need for a relaxing Smoky Mountain vacation, our cabins are located just a short drive away from the heart of downtown Gatlinburg. 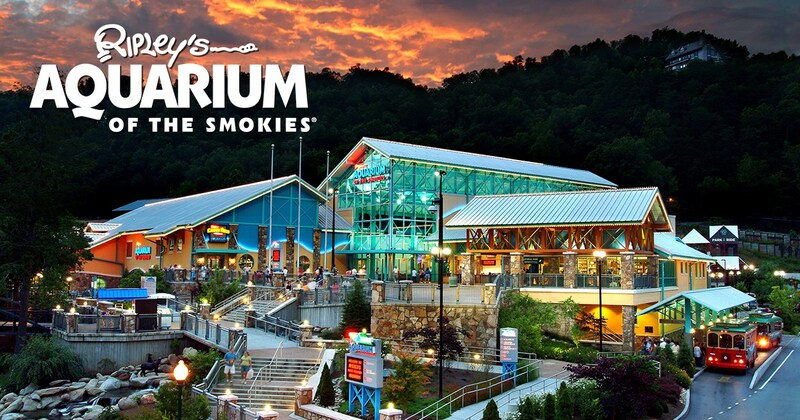 Ripley’s Aquarium of the Smokies offers a Fun-Filled family experience.